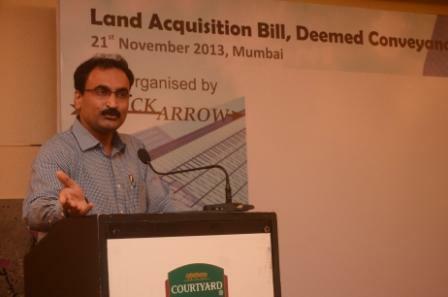 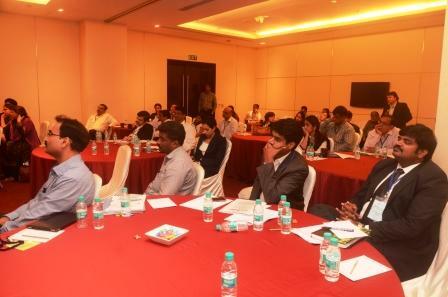 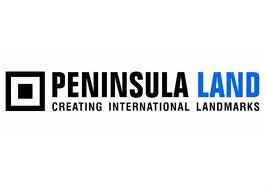 The Land Acquisition Act conference was successfully concluded on the 21st of November 2013 at the Courtyard Marriott Hotel in Mumbai. 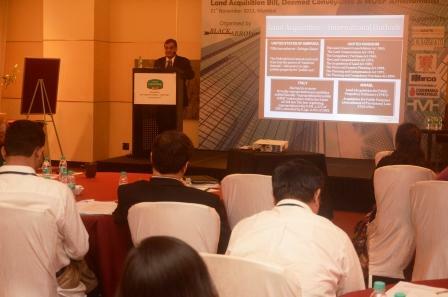 The conference saw participation from about 70 top real estate developers and leading associations such as The Housing Dept (Govt of Maharashtra), NAREDCO, Ministry of Environment & Forest, Builders Association of India, etc. 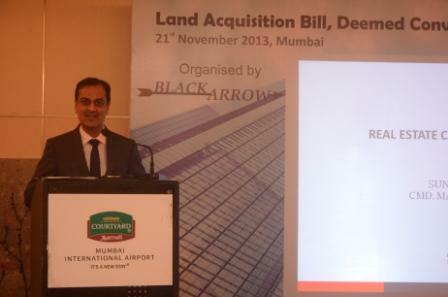 The opening session was presented by Mr Sunil Mantri, President of NAREDCO and CMD of Mantri Realty. He gave a developers perspective of the LARR Bill and the feedbacks on the current MOEF amendments. 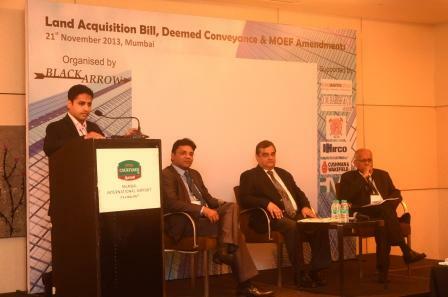 The session was jointly presented by Mr Anand Gupta, Secretary of the Builders Association of India. 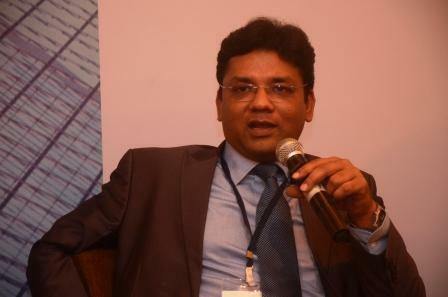 He advised the participants on the current scenario in the real estate sector. 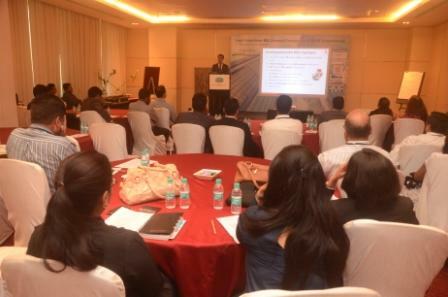 The keynote session was presented by Dr Shrikanth Pulkundwar, Under-Secretary of the Housing Dept (Govt of Maharashtra). 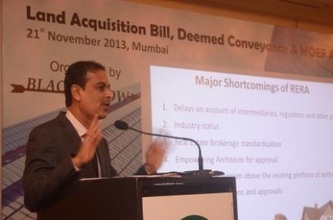 He emphasized the special directive of the govt on deemed conveyance and also highlighted on the crucial work undertaken by the Housing Dept on the issues of conveyance and MHA. 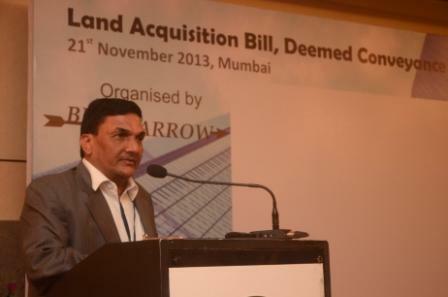 Mr Anil Harish, Partner D M Harish & Co, gave an indepth study and analysis of the LARR Bill. 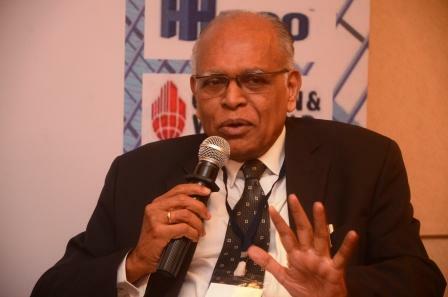 this was followed by a panel discussion on the LARR bill which included Mr Anil Harish, Mr V Suresh (Director - HIRCO) & Mr Arvind Nandan (Director - Cushman & Wakefield India). This session was presented by both the acting members of the Maharashtra State SEAC committee. 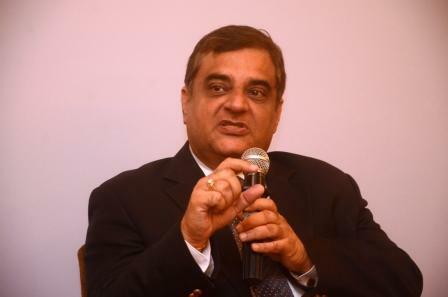 Firstly, Mr D R Hadadare who is the acting member of the state SEAC 2 committee. 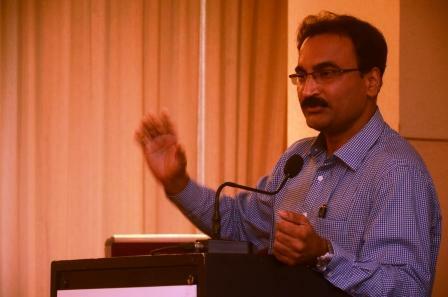 He advised the audienc eon the recent amendments on the MOEF policies . 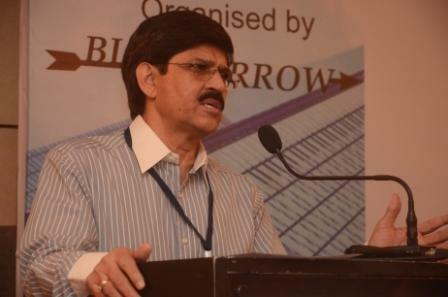 Later on Mr Balbir Singh Sehgal who is member of the state SEAC 1 committee, appraised the audience with the suggestions he had broguth forth to the state MOEF committee. Recent judgement of Supreme Court in L&T case – analysis and impact for real estate sector. 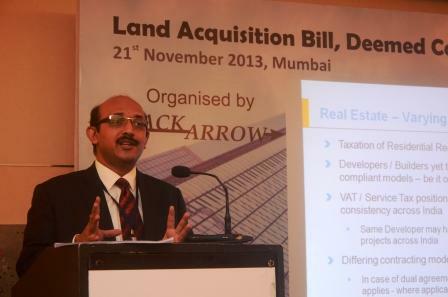 Mr Amitabh Khemka, Director BMR Advisors, gave an indepth statistical analysis of the recent VAT amendments. 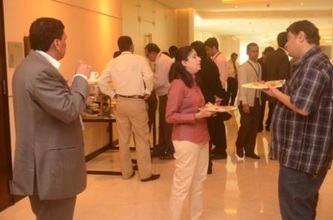 Blackarrow Conferences is a leading conference organizer which specializes in professional high level business conferences targeted at senior management in a number of industry sectors. 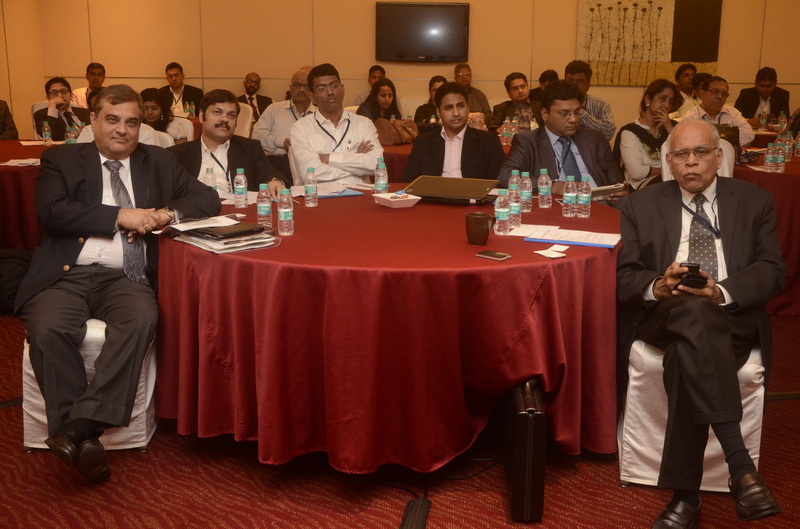 The only independent conference company to continuously organize real time & relevant topic related conferences for the Real Estate Sector. 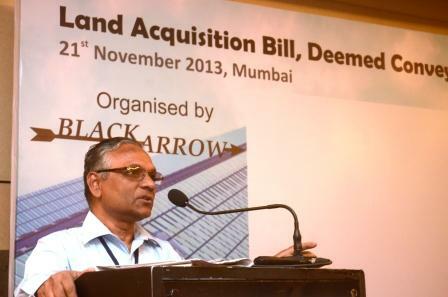 We at Blackarrow Conferences strive to provide you with the correct business information on critical topics - when it happens & how it matters, from the experts who specialize in the Real Estate Industry.